The 2011 edition of the Tribeca Film Festival in New York has scored a coup in the form of Elton John. A documentary film chronicling the creation process of his recent album, “The Union”, will serve as the opening night film of the festival on April 20. 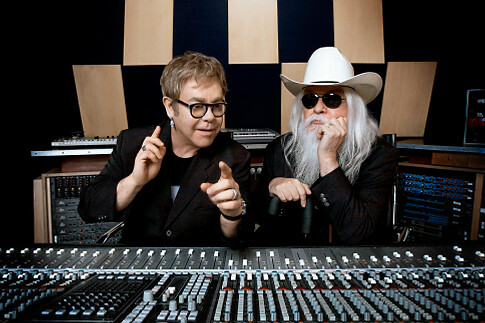 Directed by Cameron Crowe (Jerry Maguire, Almost Famous, Vanilla Sky), The Union goes behind the scenes with Elton, musical partner and album collaborator Leon Russell (Elton’s revered idol) and Grammy-winning producer T-Bone Burnett. With Crowe being a huge music fan and follower of Burnett’s work over the years, it was a natural for the two players to link up and create this musical documentary. Crowe is also working with Pearl Jam on their own separate documentary celebrating the band’s 20th career anniversary. Entitled Pearl Jam Twenty, it should be released this summer in time to coincide with a massive weekend festival headlined and curated by the band. Not quite 2o yet, but Tribeca will be hitting a milestone with their 10th year as it prepares for the new spring slate. As a thank you to the city for its ongoing support and audience-building, The Union will screen as a free outdoor event at the World Financial Plaza’s North Cove. Then as an added bonus, Elton himself, will perform in a live concert afterwards. This beats any old post-screening Q&A session anytime! Already off to an ambitious start, the Tribeca Film Festival will officially announce the feature films on March 7 for a run from April 20-May 1, 2011.